Kurukshetra, Site of Battle of Mahabharata is in Haryana state in India. Kurukshetra or Dharmshetra means ‘the region of righteousness’. Kurukshetra is a place of great significance in Hinduism. It is the place where the fierce ‘Battle of Mahabharata’ was fought. Jyotisar in Kurukshetra, is the place where Lord Krishna preached his philosophy of ‘Karma’ (Karma is a Sankrit word with meaning ‘deed’ in English) to ‘Arjuna’, as per the Holy epic of Bhagwad-Gita. Kurukshetra is spread over vast areas of North Eastern Haryana and consists of many holy places, temples, sacred tanks, etc. Geeta Jayanti festival is the main festival of Kurukshetra. 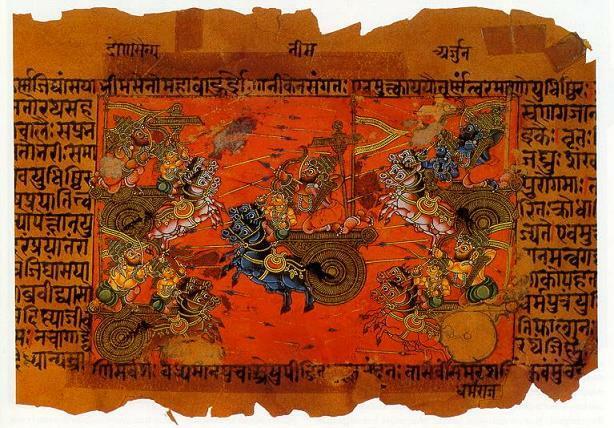 Mahabharata, the great Sanskrit epic written by Vyasa, is believed to be written in the 8th or 9th century BCE. Oldest existing preserved parts of this great epic is believed to be from 400 BCE. Great Epic of Mahabharata is considered as the “longest poem”, consisting of 1.8 million words! Brahma Sarovar, Sannihit Sarovar, Jyotisar, Jindal Park, Bhadra Kali Mandir, Krishna Museum, Kurukshetra Panorama and Science Centre, Bhishma Kund, etc, are some of the other places in and around Kurukshetra. How Do I Go to Kurukshetra, Site of Battle of Mahabharata? Kurushetra is well connected by road, train and airways. Kurukshetra can be reached from the link road from National Highway Number 1 through Pipli town. The nearest railway station is “Kurukshetra Junction”, with station code ‘KKDE’. It is an important railway junction where most trains stops. There are regular bus services from New Delhi, Punjab and other neighboring states. The nearest airport to Kurukhetra is at a distance of around 100 kilometers at Chandigarh. Indira Gandhi International Airport at New Delhi, the capital of India, is at around 150 kilometers away from the Site of the Great Battle of Mahabharat.